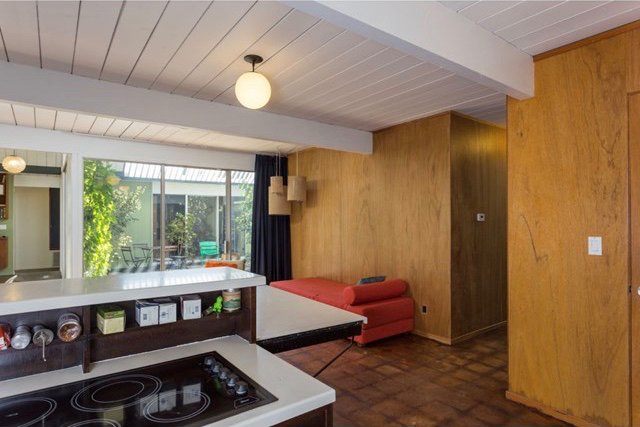 Welcome to the famous A-frame floor plan in the Balboa Highlands built by Joseph Eichler and designed by A. Quincy Jones. This is a beautiful example of what a restored masterpiece looks like. Stepping through the front door into the atrium really gives you a sense of what homes should really feel like. This home boasts 5 bedrooms and 2 bathrooms. Walls of glass throughout the home make this masterpiece feel open and spacious while allowing tons of natural light in. This home has been painstakingly restored to its original glory. Some great features to really look at are that this home has Polished Concrete floors throughout, New roof with insulation, restored kitchen, Original mahogany panelling, freshly painted inside and outside, new period correct and restored paneling throughout the home, Period Correct energy efficient windows, Period Mahogany and Teak built-ins throughout the living Room, family room and dining room. 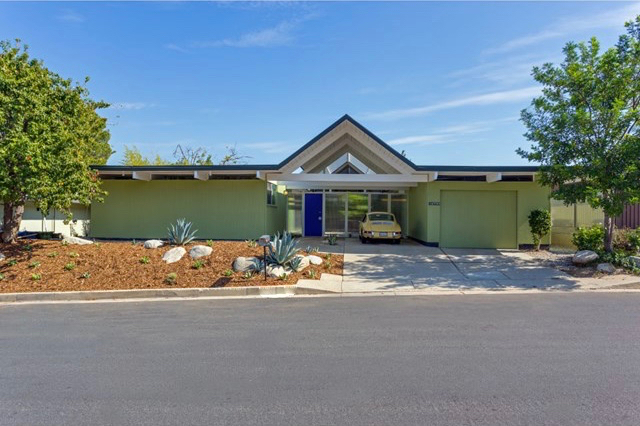 There isn't many times in life where you can truly own a piece of art such as an Eichler home, it becomes even harder to find one that has been restored to how these homes were really meant to be lived in. 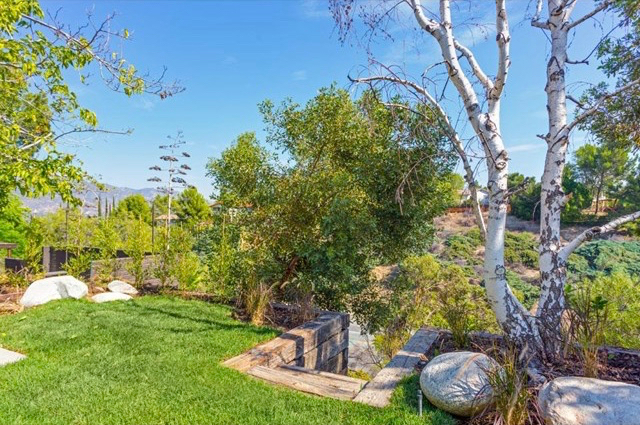 As an added bonus this home is also Mills Act tax exempt that is transferrable which will save you tons of money in yearly taxes.